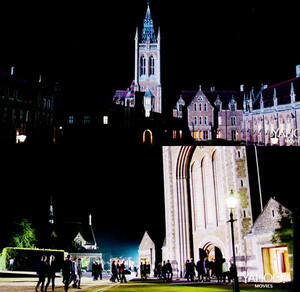 St. Vladimir's. . Wallpaper and background images in the The Vampire Academy Blood Sisters club tagged: photo va trailer vampire academy. This The Vampire Academy Blood Sisters fan art might contain kawasan bisnis, pusat kota, distrik bisnis, and downtown.